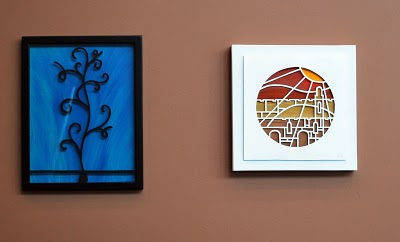 Two more pieces currently on display at the "Paper Midrash" show through February 26 at the Merage Jewish Community of Orange County. On the left: "Spring Up, O Well"; on the right: "Jerusalem." And both of these pieces are already sold -- if you want to buy something before the show is over, head down to the gallery and check it out! More details at my web site.